Tools and resources to make your service business effective & profitable. 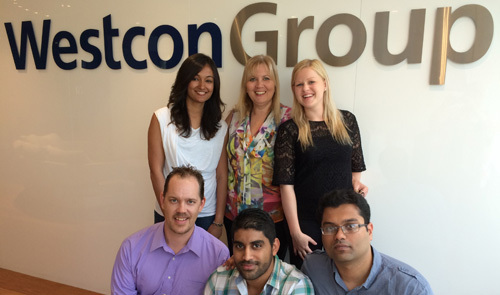 Westcon's Cisco service renewals team plays a crucial role in helping you to maximise more revenue from your business. Our team manages the renewal process and will help you ensure that hardware and software support to customers continues uninterrupted. This in turn will allow your renewal revenue stream to increase. 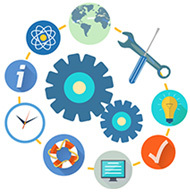 Westcon's unique service provides our partners with a process that will ensure support contracts are managed and renewed on time. Our team can assist with generating quotes and help manage, protect and increase your services business. Our dedicated renewals experts will help and assist you in the unique end to end process ensuring your customers receive excellent service. Why are Service Renewals Important to your business? Protecting the future through software upgrade policies. Increased Customer satisfaction which drives customer loyalty. Provides an ongoing revenue stream. As our vendors invest to develop and enhance the solutions they sell, it is even more important that your customers are protected by a valid maintenance contract. A support contract not only gives your customers peace of mind and knowledge, it also allows them to access expert technical help whenever needed. It protects your customer's investments by ensuring they can upgrade to the latest features and enhancements. Support contracts provide your customers with confidence by ensuring their network is always available. Limiting downtime and providing greater return on investment means the customer can take advantage of increased savings. Customers covered by a support contract have a higher level of satisfaction as they receive a better level of service. A satisfied customer will have higher usage and purchase more as demand increases. By having a healthy service renewal practice, your company will benefit from continued revenue streams. A customer who has purchased a service contract, already understand the benefits of the services. If you send the renewal prior to the contract expiry date, a higher percentage of customers will renew as this will allow them to budget in advance. Contact your renewals expert now. For further information regarding any of these topics, please contact your renewals expert: Phone 02 9432 1071 or renewals@westcongroup.com.au.